This is a review of the “Google WiFi system, 3-Pack – Router replacement for whole home coverage” (NLS-1304-25) product which I posted to Amazon today. I have been wanting to purchase a mesh Wi-Fi system at home for many months, and finally pulled the trigger last month. Wow what a difference this makes! With our previous “Apple AirPort Extreme” router and WiFi unit, I could get a maximum of about 30 Mbps down in our living room, even though our cable modem over ethernet is rated for 300 Mbps downloads. With this Google WiFi mesh system, on the same MacBook laptop I can get 200 Mbps down in my living room, and over 100 Mbps down in all locations throughout our two-story house! Wow! The cost of this upgrade is well worth it for speed improvements alone. I was actually contemplating the Eero mesh WiFi system, but since Amazon bought Eero recently I am wary of it, even with their pronounced commitments to customer privacy. We are both an Apple and a Google household, and we certainly order a lot from Amazon, but since we already have Google Home Mini’s and a Chromecast, and are looking at other Google IoT products, I thought this would be a good move. Plus, I have had great experiences with Google’s products in the past, at school I manage over 300 Chromebooks and Google’s administrative tools are phenomenal. The same is true for their home Wi-Fi product. This last week was the first time I participated in the weekly YouTube live stream and podcast webshow I do with a friend in Montana, (edtechSR.com) and I was able to give my laptop priority during the videoconference on YouTube Live with a couple button taps on ef. I also loved, during initial set up of Google WiFi, how the app provided feedback to help me move the position of my home access point upstairs so it is optimized. This is an incredible improvement in our home Wi-Fi, and is making a daily difference in all of our lives. Of course it is also important and critical that we have home routers with updated firmware and that receive regular security updates online. IoT security is a huge problem and will likely just grow as a security issue in the months to come. Hackers as well as commercial companies will continue to try and access / compromise our home routers, since that gives them access to all the data passing through our networks to the Internet. Google is excellent in this regard. Of course Google wants to have our data, but in our modern surveillance state environment Google is a company I actually trust, along with Apple. Not so for Facebook or Amazon. 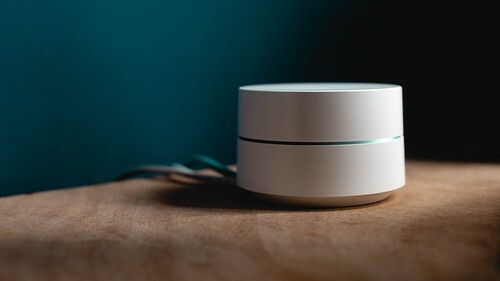 If you are not currently using a mesh router system, you should make the move, and I think Google Wi-Fi is an excellent choice. I am a school technology director and do much more technical things with the enterprise Cisco Meraki WiFi we have. There are home mesh WiFi systems which allow for more technical set ups and configurations, but Google WiFi is all I need for home. This is an outstanding product and a great value, especially with the $100 discount I was able to use during a product sale.